Everybody loves cinnamon donuts! This recipe calls for a thermometer as without one it can be hard to know whether your auzure Canola Oil is too hot or not hot enough. If you don’t have a thermometer handy, you can always just throw in a small piece of dough to test! 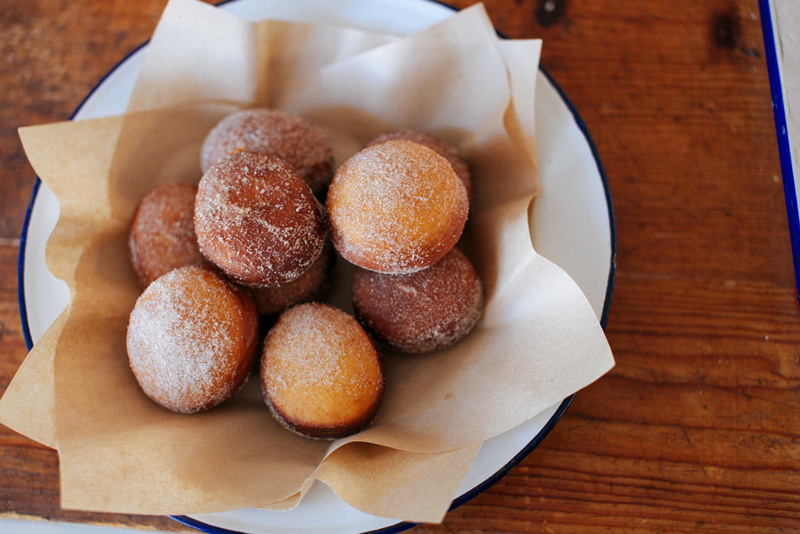 This recipe makes about 12 donuts. Combine the yeast, milk and sugar in a small bowl and whisk to combine. Let stand for 10 minutes or until the yeast has activated and the mixture is foamy. Place the flour in a large bowl, make a well in the centre and add the sugar, yolks, butter and salt. Tip in the yeast mixture and stir until just combined. Turn out onto a work surface and bring together until you have a smooth, pliable and soft dough – this will take about five minutes of kneading. Form into a disc shape, place in an oiled bowl and cover with plastic. Set in a warm place for 1½ hours or until doubled in size. Lightly dust your work surface with flour and roll out the dough until about 1.5cm thick. Using a 5cm or so cookie cutter, cut out as many rounds of dough as you can, re-roll the scraps and go again so you use all of the dough. Place these on a piece of baking paper, cover with a tea towel and let rise for 30 minutes. Drop the donuts in the hot oil three at a time and cook for about twenty seconds on each side, then remove from the pan with a slotted spoon and let drain for a few seconds on the paper towel. Place in the bowl of cinnamon sugar and dust on all sides then transfer to a serving plate. Repeat with remaining dough, keeping the finished donuts warm in a low oven or under a tent of foil. 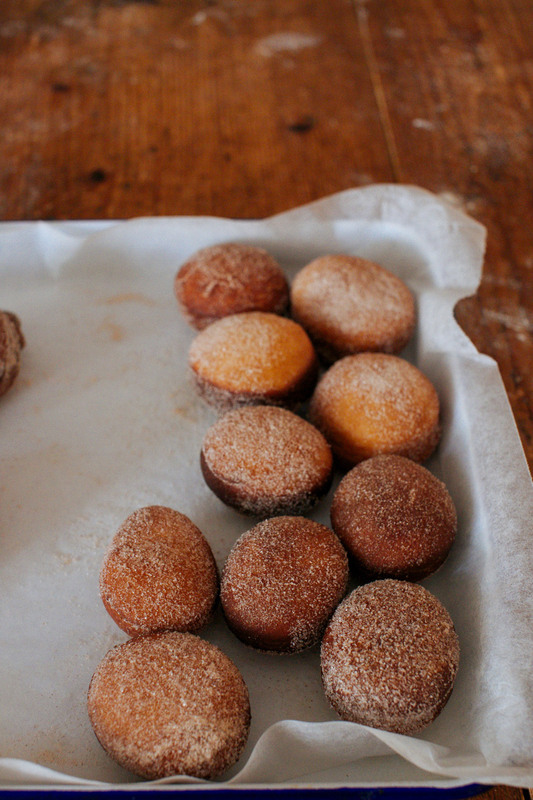 If you have a piping bag and the inclination, fill with either custard, jam or caramel and pipe into each donut.